Almost immediately after I opened this box of tile, I told my husband I wanted to make pot holders out of them. 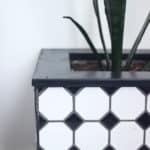 We originally got the tile to make a modern tiled planter, which now sits in our entry. But the pattern is so pretty! I knew if we had extra tile at the end of the project that I’d have no problem using it. 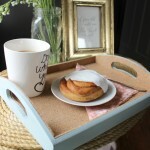 And with Mother’s Day fast approaching, wouldn’t these DIY trivets make a great Mother’s Day gift too? 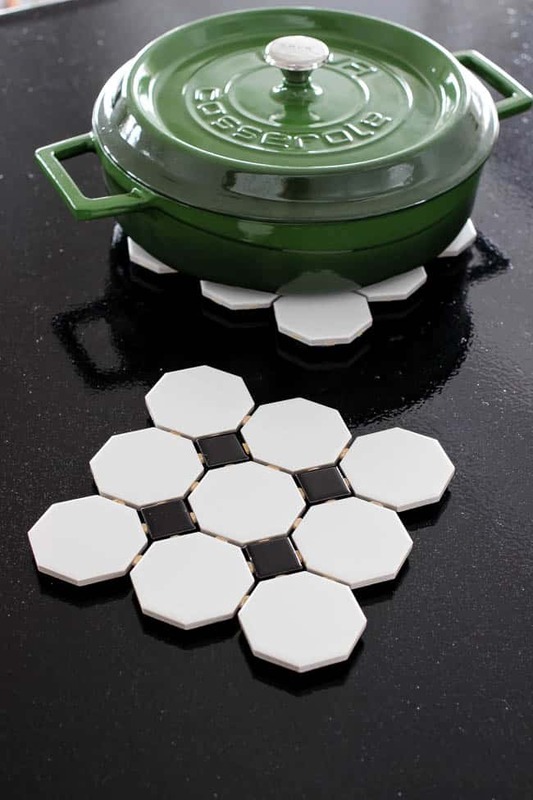 If you have leftover sheets of tile, you can easily make this project! 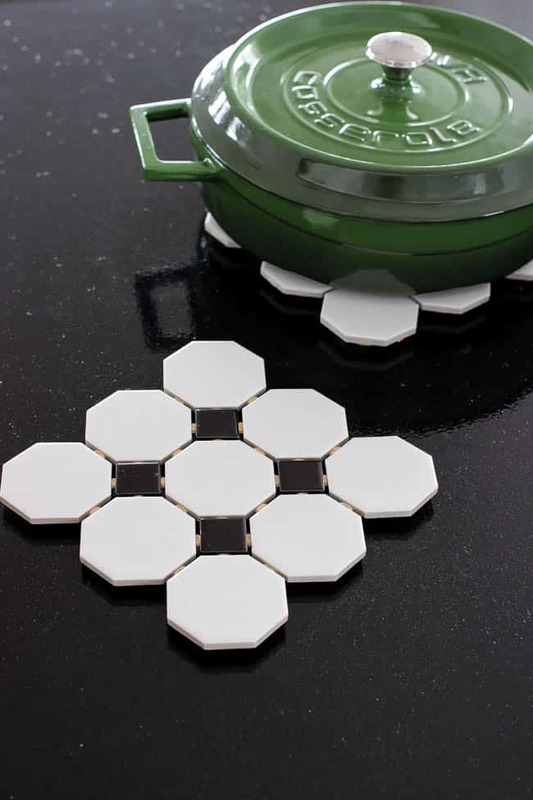 The sturdier the sheet of tile, the sturdier the trivets will be. Our sheet was very sturdy, but I know I’ve worked with some smaller patterns in the past that would not have worked as nicely. 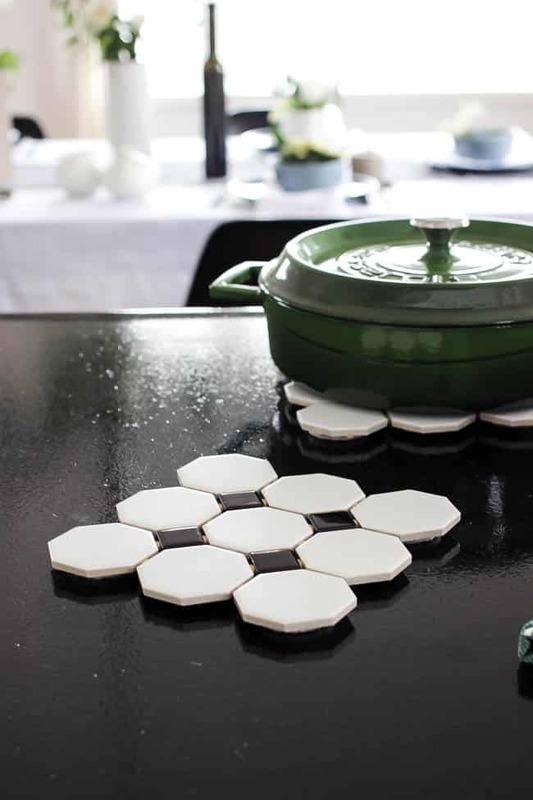 Start by deciding what pattern you want for your trivets. 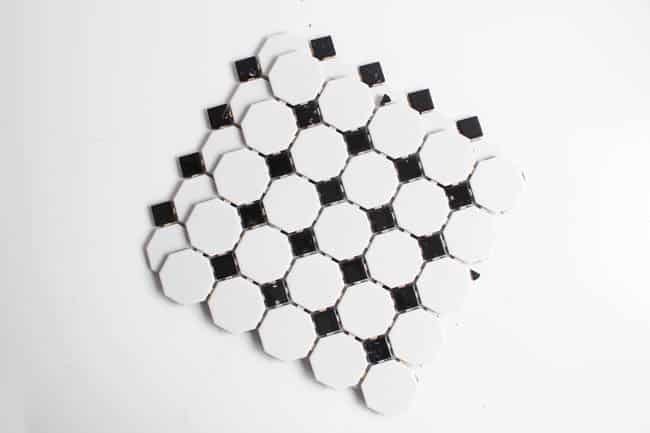 Our sheet could make a square looking trivet with these beautiful octagons. You may have to adjust for different patterns. Next, just pull apart the connectors by hand. A tiny bit of force and bend in the tile is all it takes. 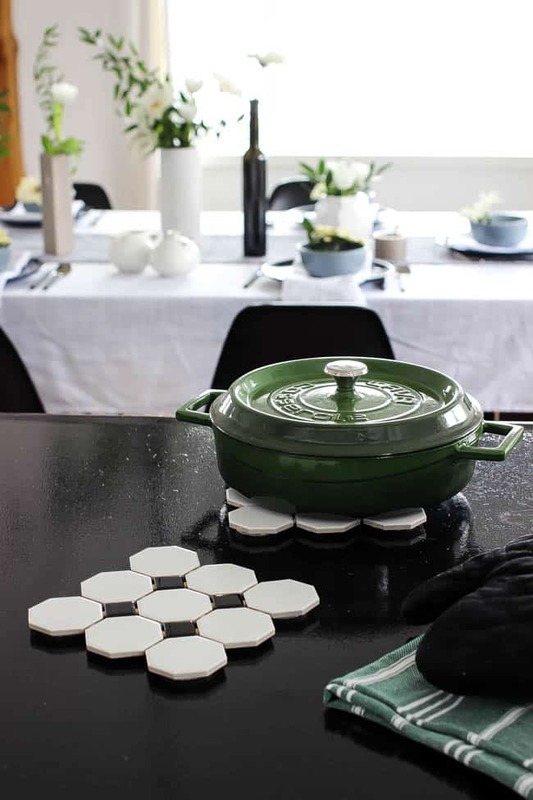 We actually planned out our sheet so that I could rip one modern trivet, and three square coasters (see photo below) out of each sheet! 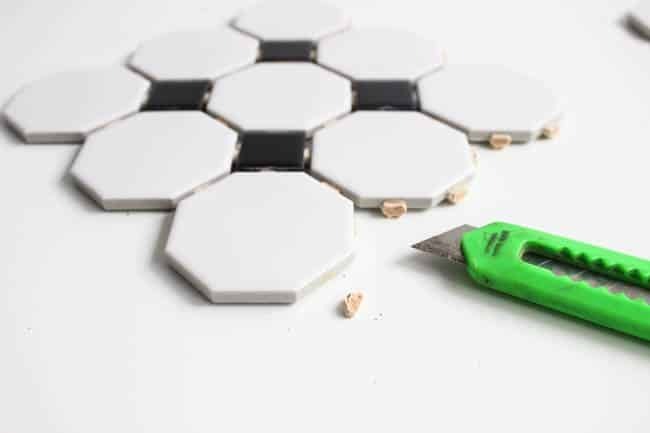 Put aside any pieces of tile that are ripped off and no longer needed. 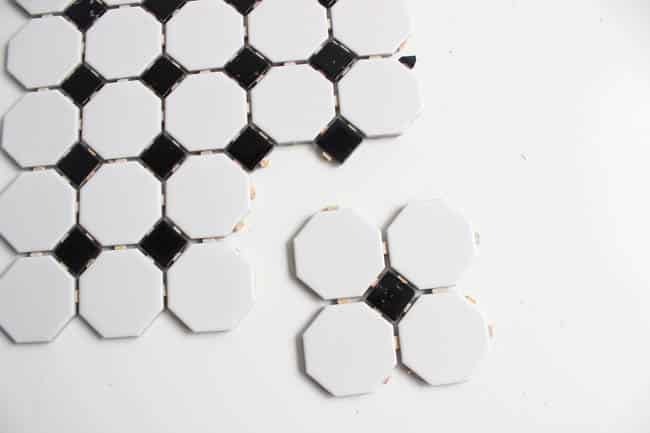 You will likely have something stuck to your tiles, like these sticky connectors on ours. 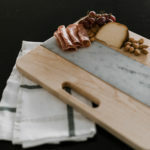 I just used a utility knife and scraped any extra off – you can barely see the marks when you’re done! 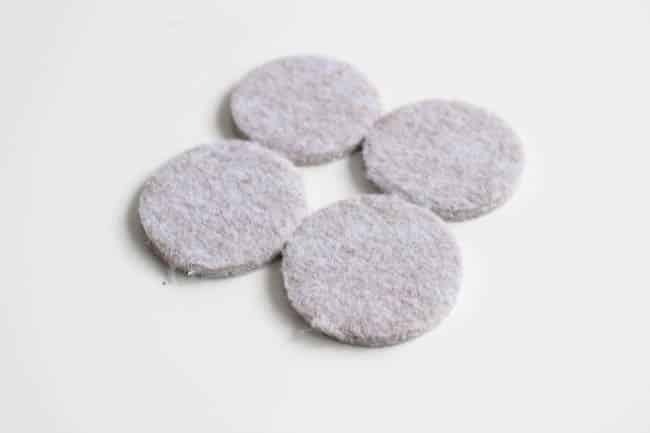 You need a way to protect your kitchen counters and tables from the tile as well and any hardware store will likely sell these little felt feet. 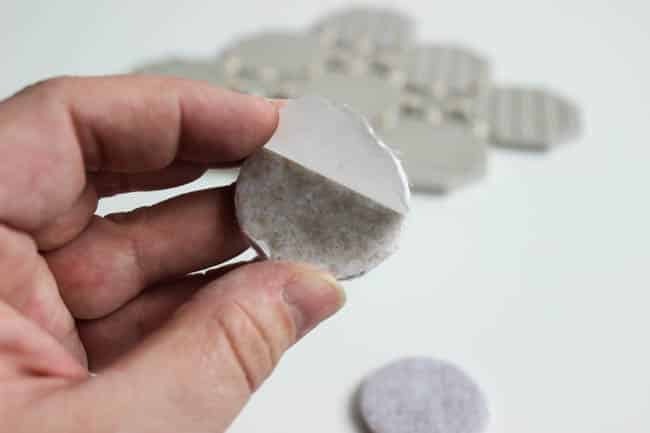 You just need to make sure that the size you buy is smaller than the size of your tile pieces so that the felt feet will be hidden underneath. 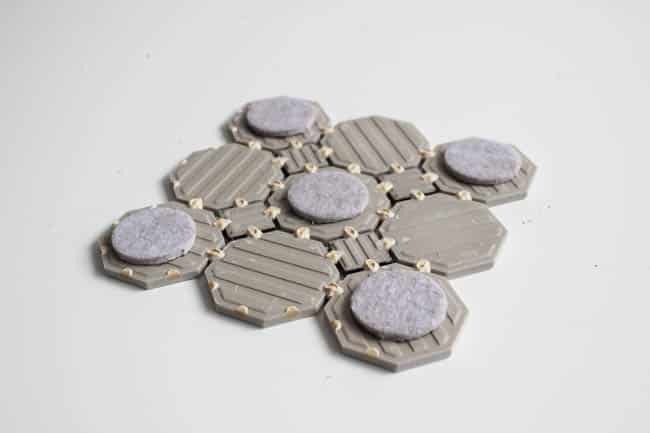 Simply peel of the backing and stick them underneath your tile! That’s it! 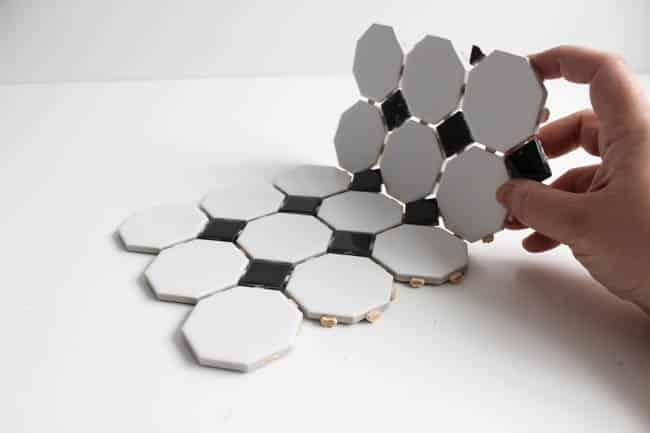 Honestly, in my opinion it would be worth buying a whole box of tile just to make a bunch of these as gifts. 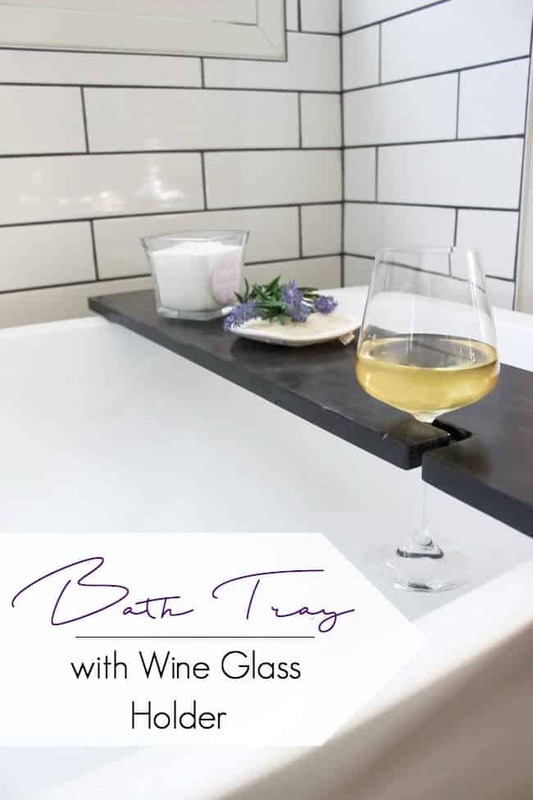 Every two sheets would give you two modern trivets and six DIY coasters! Honestly it only took five minutes to make these trivets and I LOVE them! 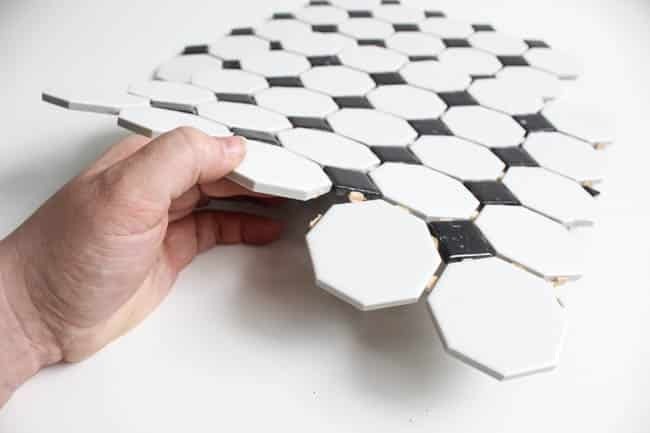 What do you do with your leftover tile? Would you make these? 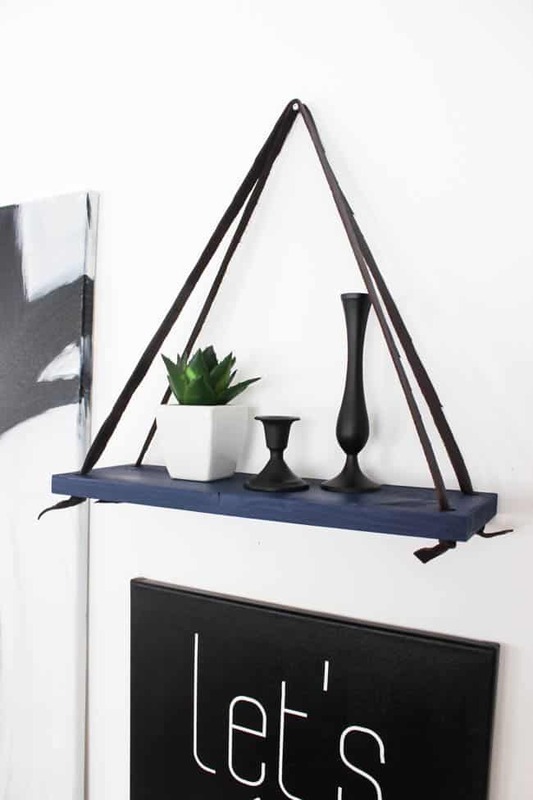 If you’re looking for another thrifty DIY gift, this Hanging Shelf would be the perfect idea! 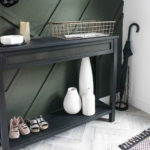 If you have scrap wood, here’s another great DIY gift idea – A Bath Table! 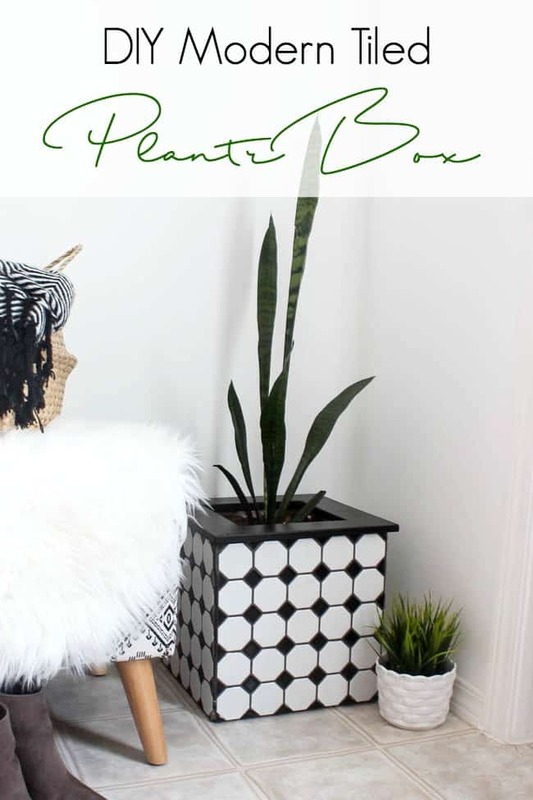 Or if you love the tile, check out these DIY Modern Planters! 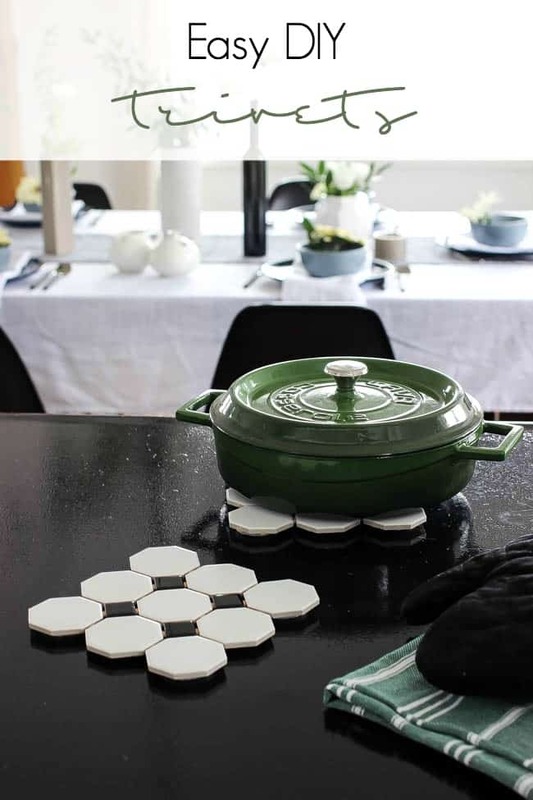 Saw these trivets and thought they must be Lindi’s! 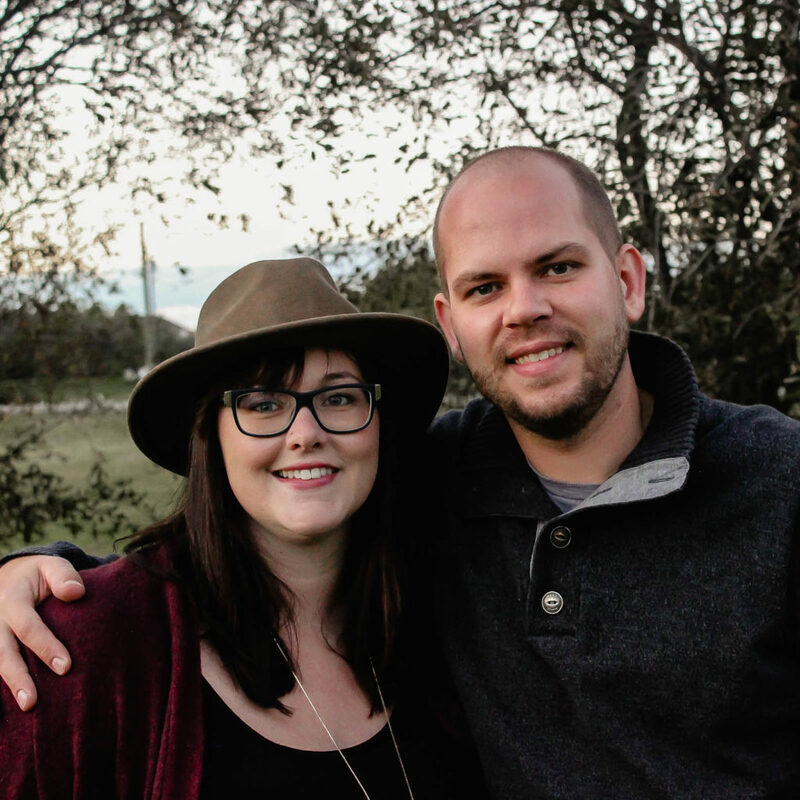 Love your style and your crafty ideas, girl! 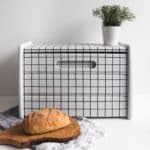 Pingback: 20 Amazing DIY Gifts for the Best Mother's Day Ever!